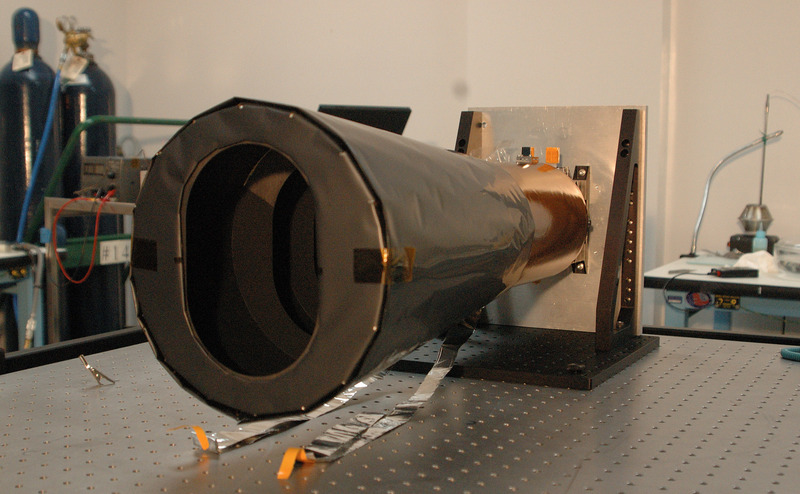 2004, before it was delivered and mounted on the spacecraft. From its 3 p.m. circular, polar orbit, the MRO Context Camera (CTX) will obtain grayscale (black-and-white) images of the martian surface with a spatial resolution of about 6 meters (20 feet) per pixel over a swath that is about 30 kilometers (18.6 miles) wide. 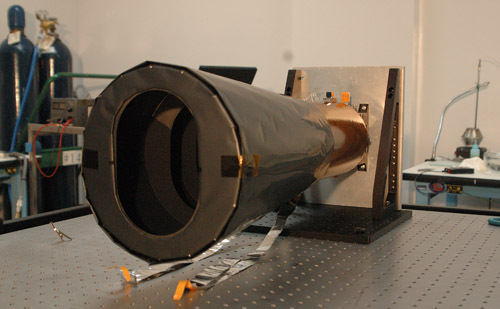 CTX is a Facility Instrument, operated by Malin Space Science Systems and the MRO MARCI science team. As its name implies, CTX will provide context for images acquired by other instruments onboard the Mars Reconnaissance Orbiter, particularly the High Resolution Imaging Science Experiment (HiRISE) and the Compact Reconnaissance Imaging Spectrometer for Mars (CRISM). The instrument consists of a 350 mm focal length, 6° field of view, catadioptric Cassegrain (Maksutov-type) telescope that images onto a 5064 pixels-wide charge coupled device (CDD) line array. The CCD detects a broad band of visible light from 500 to 800 nanometers in wavelength. The instrument includes a 256 MB DRAM buffer, so that it can acquire pictures that have downtrack lengths greater than 160 kilometers (99 miles). In other words, a typical CTX image can be as wide as 30 km and as long as 160 km, or more.